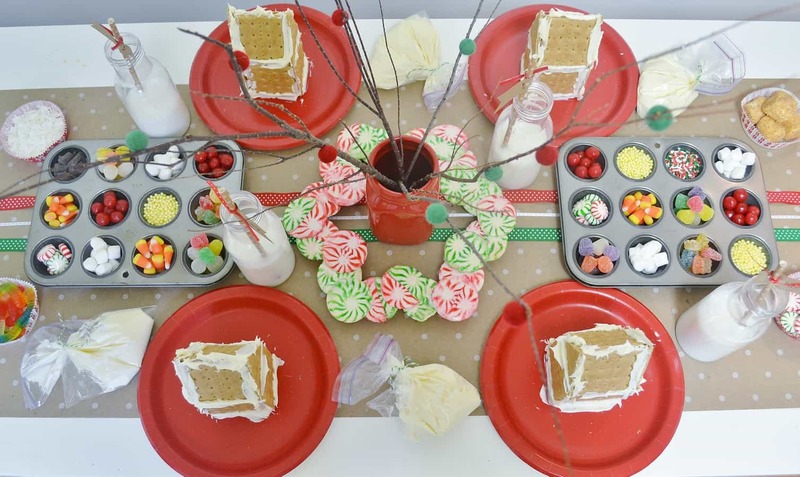 Looking for some fun and easy gingerbread house party ideas? You’re in the right place! 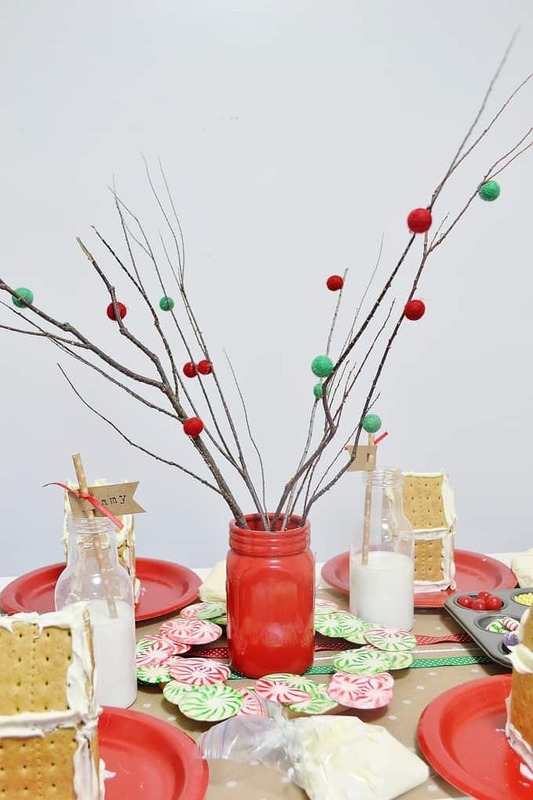 Put together a cute and festive party that everyone will love! Like so many of you, I absolutely love this time of year. The festive gatherings, school functions, holiday cards, and special family traditions all combine to make November and December memorable and fun. It takes a concerted effort on my part, though, to ensure that we remember what’s most important, and that we don’t confuse “frantic” with “festive”. Today’s gingerbread house party ideas and homemade hot chocolate recipe are just two ways that I’m trying to make the most of this holiday season! 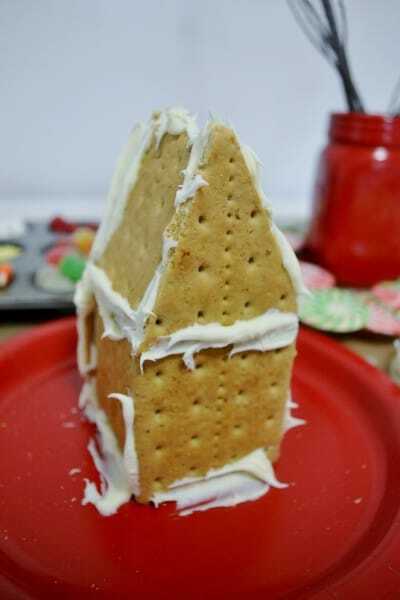 This Gingerbread House Party came together quickly, and is a great way to create a special holiday memory. I made sure to only use supplies that are readily available and budget friendly! 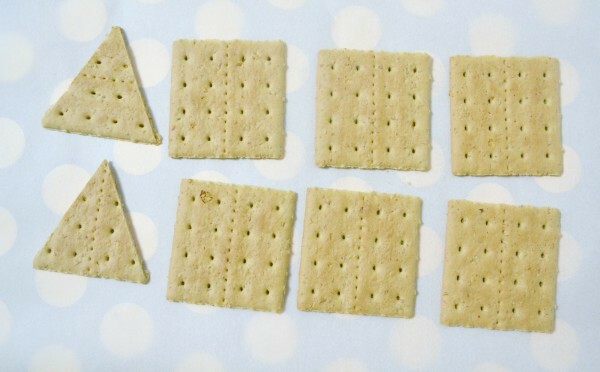 To start, I put together easy houses out of graham crackers. I used 6 pieces per house, and assembled them onto a paper plate. To get the triangle pieces, just use a serrated knife and carefully and slowly cut each piece (using a slow back and forth motion). It was easier than I thought it would be, but definitely have an extra few crackers on hand. The end result is a bit messy-looking, but it’ll soon be covered in frosting and candy, so no worries. 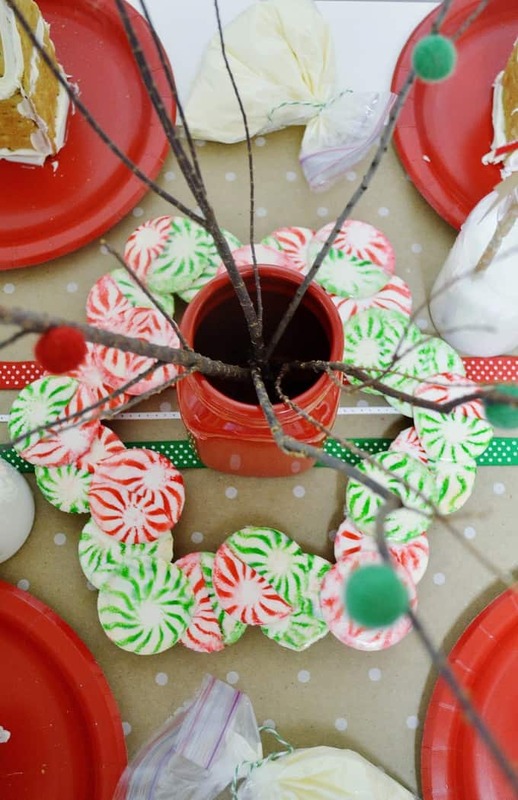 Here are some of the easy and doable touches that helped make this party so festive and fun! 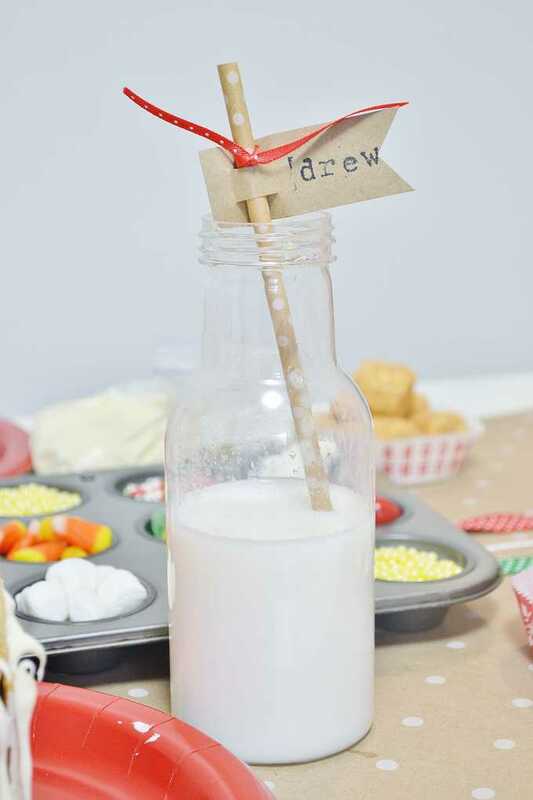 Simple paper straws and tags with stamped names make each guest feel special! Tie a ribbon onto each straw to add some color. 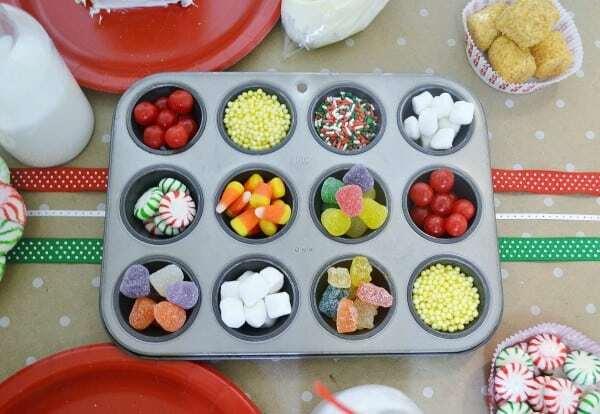 Mini muffin tins are the perfect vessel for holding candies to decorate the gingerbread houses! Choosing which candies you want to use to decorate is half the fun. And store bought icing can be put into plastic bags (just cut off the tip) for a convenient and inexpensive piping option. For the centerpiece, I hot glued wool pom poms onto craft store branches and put them into a red mason jar. The candy wreath centerpiece is made out of melted mint candies! After they cooled, I simply hot glued them onto an embroidery hoop. 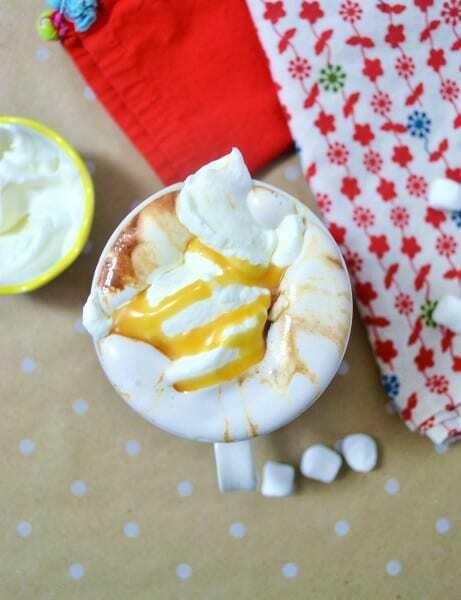 Lastly, a great hot chocolate is the hallmark of any great holiday party. Here’s how I made mine. Step 1: Add about a cup of heavy whipping cream into your stand mixer. Whip until stiff peaks form. 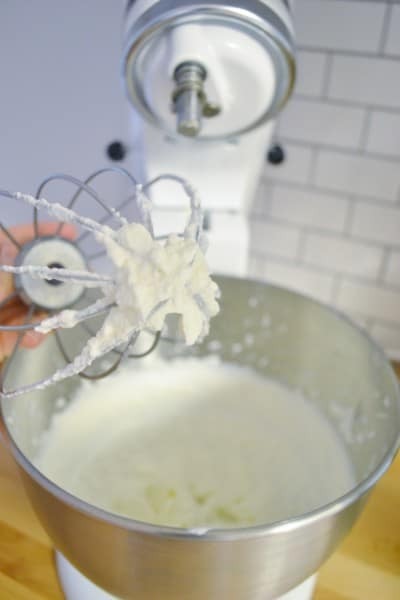 I usually pour my cream into the bowl of the mixer and stick in the refrigerator for a few minutes before whipping–having everything cold helps everything whip up better. You can always add a dash of sugar or vanilla to your cream; I didn’t for this recipe because the hot chocolate itself is so sweet and decadent. In a saucepan, over medium heat, combine 1.5 cups of whole milk and 1/2 c. of heavy cream. Pull off the heat once hot (don’t let the mixture boil). 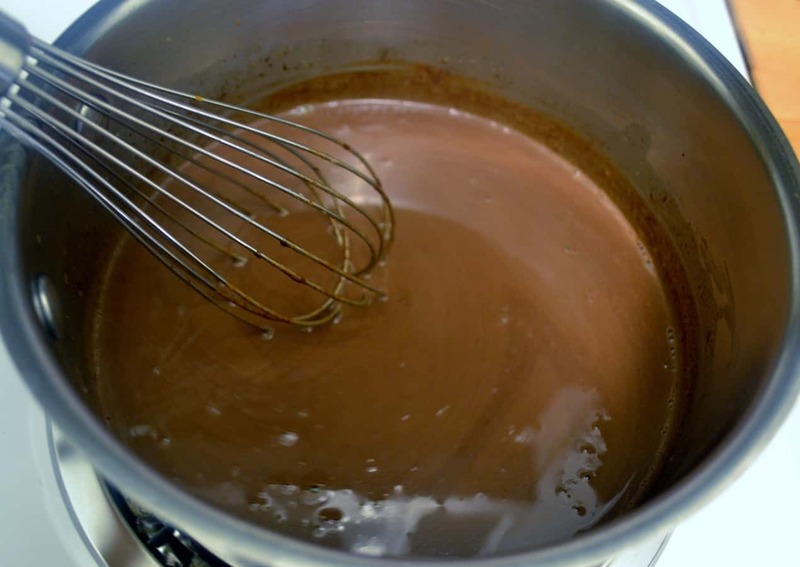 Stir in 6-8 ounces of quality, chopped chocolate. After spooning into a mug, I added a generous portion of whipped cream, and a drizzle of caramel. Thanks so much for reading all about our gingerbread house party + homemade hot chocolate! Have a great day! I love the smells of vanilla, apples, oranges, and anything baking. so so fun!! i love this! I love the houses, treats and candles!! What a darling idea! I love Glade candles… I literally can’t walk by them without buying a few! Everything looks awesome! I love Glade candles – the scent seems to last longer than most other candles so they are a bargain for the price.